Dhaka, Feb 1 (Just News): A Dhaka court on Thursday placed former president of Jatiyatabadi Chhatra Dal (JCD) Azizul Bari Helal on remand in a case filed in connection with an attack on a prison van. The Jatiyatabadi Chhatra Dal is the student wing of the main opposition, Bangladesh Nationalist Party (BNP). The court of Dhaka metropolitan magistrate Ahsan Habib passed the remand order. The same court also put 57 other activists of BNP and its associate bodies on remand in three cases filed in connection with the incident. Lawyer of the accused, Syed Jainul Abedin Mezbah, said Helal along with 30 others were placed on five days remand each, whereas 27 others were put on two days remand each. 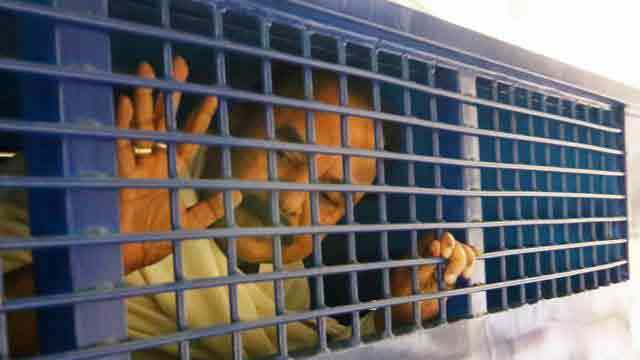 On Wednesday, another court put 55 BNP leaders and activists on remand and sent BNP standing committee member Gayeshwar Chandra Roy to jail in connection with the same incident. Police, on Tuesday, said a group of activists of the BNP and its associate bodies damaged a prison van and snatched away two of their fellows in front of the High Court Mazar gate in city. The incident took place when BNP chairperson Khaleda Zia was returning after appearing at a Dhaka court in Zia Charitable Trust graft case. Rebutting the police claim, BNP secretary general Mirza Fakhrul Islam Alamgir said Tuesday's attackers were not their party men. The BNP has alleged the law enforcement has intensified its repression on and arrest of opposition activists ahead of Khaleda verdict slated for 8 February.